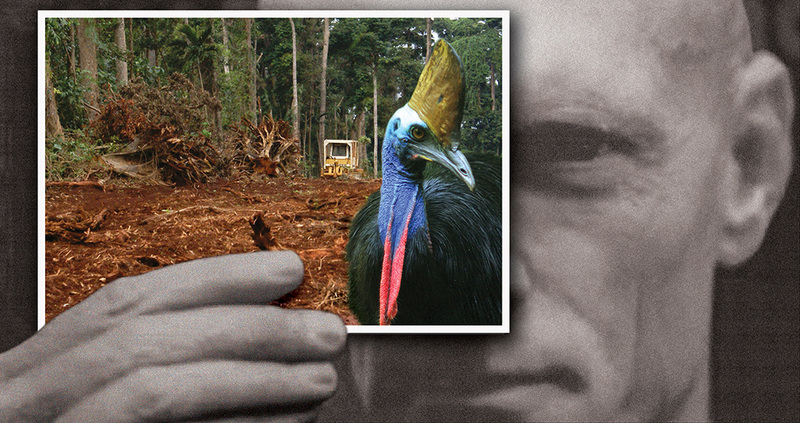 Queensland Trust for Nature (QTFN) and the Community for Coastal and Cassowary Conservation (C4) has secured and facilitated a 45.2 hectare Cassowary wildlife corridor at Mission Beach in northern Queensland. 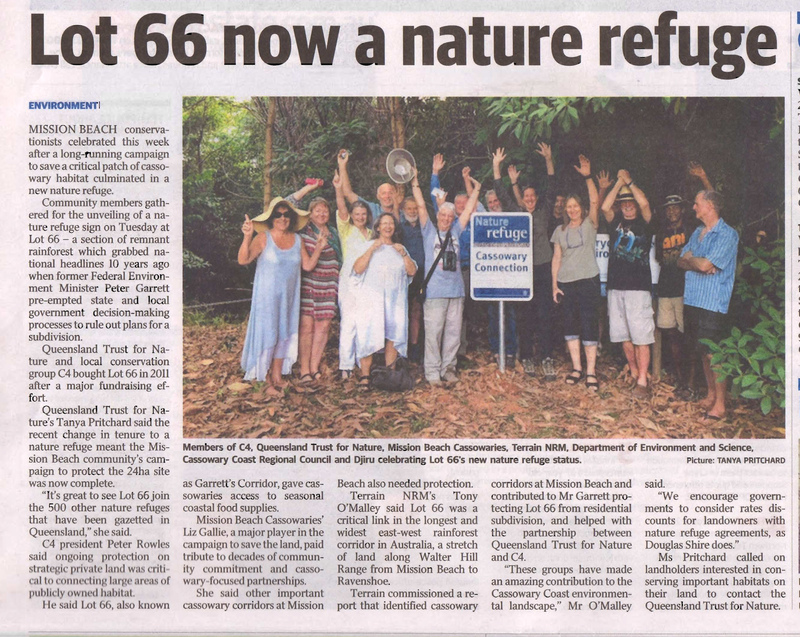 The corridor, known locally as Garrett Corridor, is to be protected in perpetuity through the creation of two new Nature Refuges that will link the Djiru National Park in the World Heritage Tropics and the Mission Beach coastline. 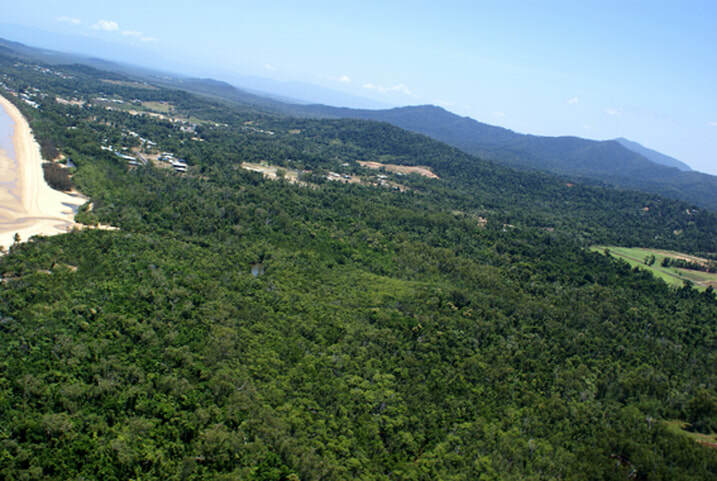 This has been achieved through a coordination of local groups including C4, the Djiru Warrangburra Aboriginal Corporation (DWAC) and the Cassowary Coast Regional Council (CCRC). Read QTFN Lot 66 media release. 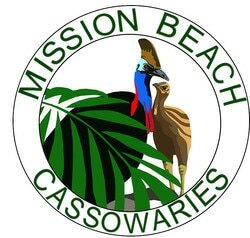 There are other important cassowary corridors at Mission Beach that need to be protected to make sure the birds our community see every day are able to have free movement to access all their essential habitat. 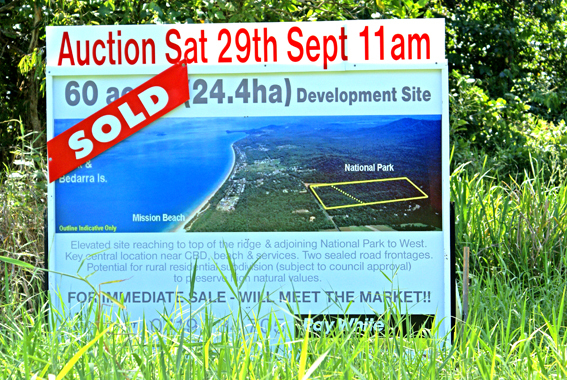 QTFN are committed to help with buyback of key blocks of land at Mission Beach. All we need to do is help by raising a percentage of the land value. QTFN will do the rest. 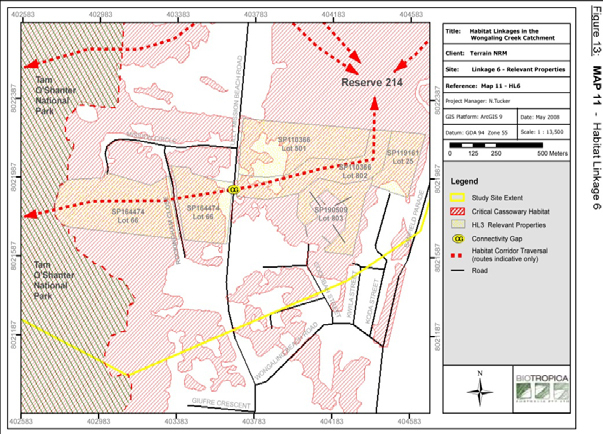 linkage habitat on State lands is assumed, although this security rests entirely on achieving appropriate levels of protection for the very significant linkage habitat represented by Lot 66 SP164474"
“These two parcels contain very high quality vegetation, including riparian vegetation fringing two watercourses that flow into Reserve 214. 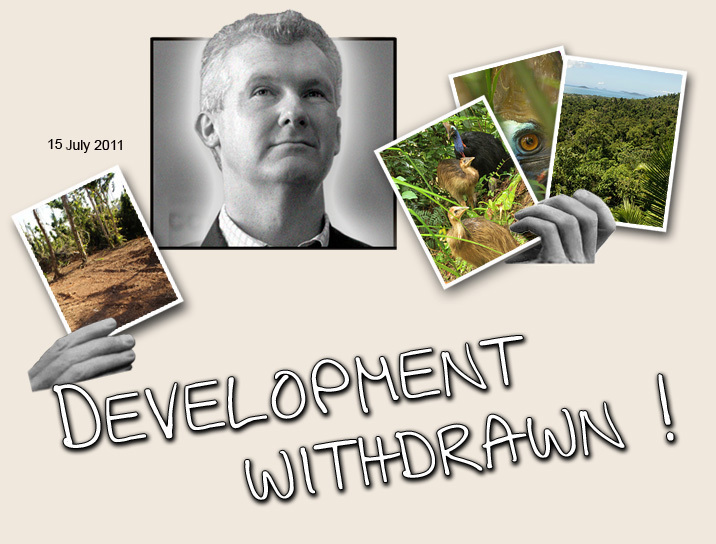 If these parcels are developed there is a high risk that this critical linkage will become dysfunctional and degraded. 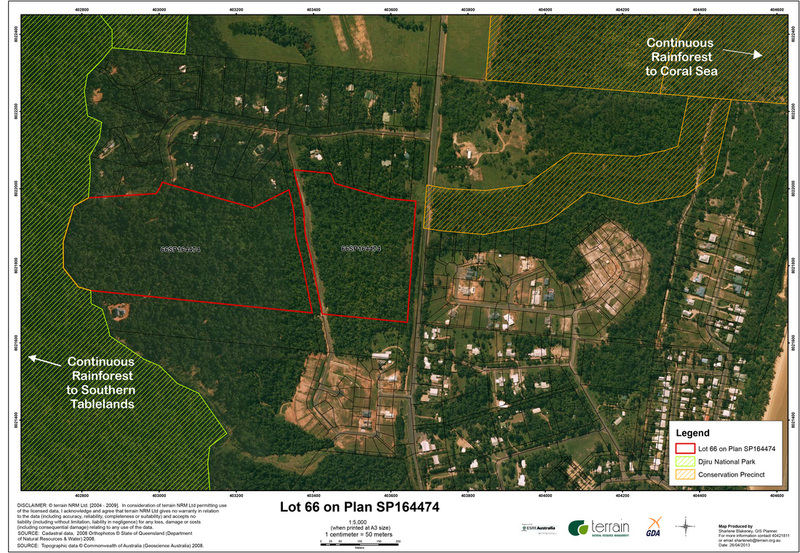 The long term future of Lot 66 on SP164474 requires careful consideration given its critical position, high quality habitat and continuity between State lands. Protection incentives should be considered and some acquisition may also be warranted.” (Biotropica 2008)". 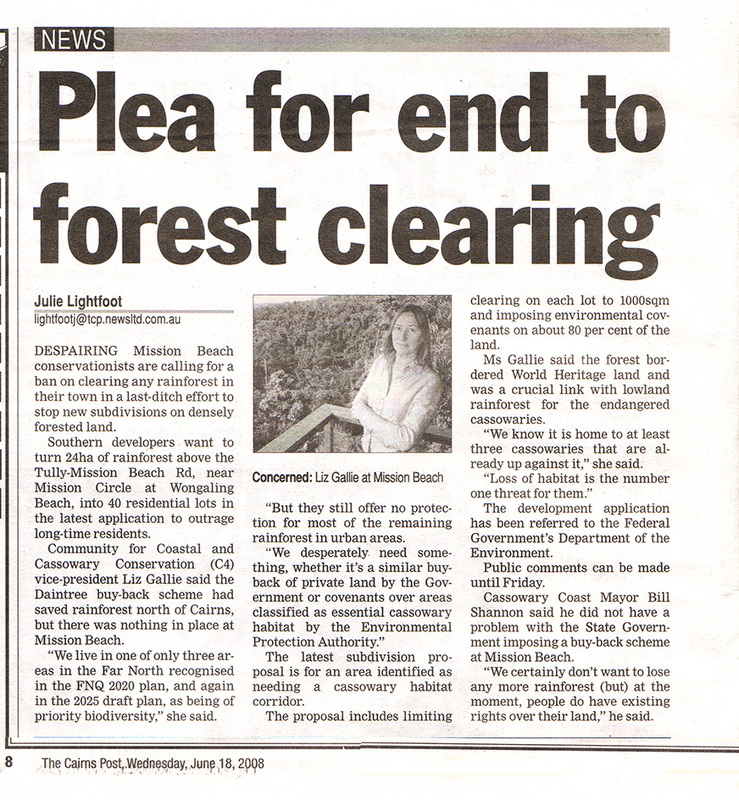 The federal environment minister announced in July 2011 that the second development proposal submitted for residential subdivision on Lot 66 within Garrett Corridor had been withdrawn.